Many thanks to everyone who competed or contributed to make the day a success. The Review was held on Sunday, 23 September 2018 at the Crest Athletics Stadium, McClean St, Georges Hall, Sydney, NSW. 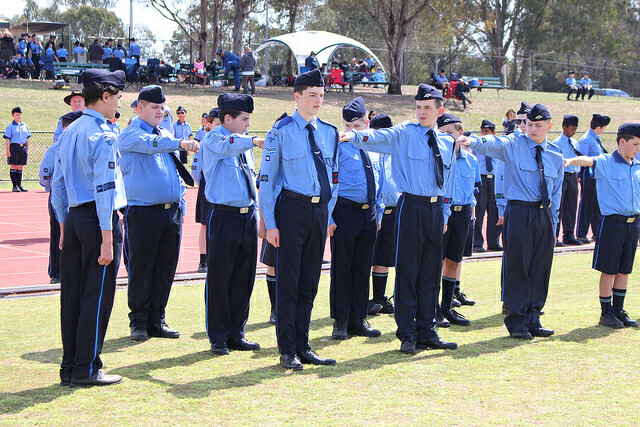 Squadrons from ACT, New South Wales, Queensland, South Australia and Victoria attended. At this Review, there were two competition streams, Open and Boys Only. 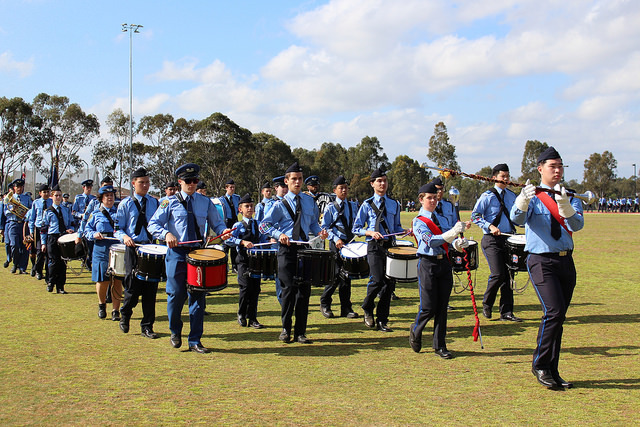 The Reviewing Officer for the Review was Mr David Binskin, General Manager, General Manager Aviation, Sydney Metro Airports (Bankstown and Camden). A special presentation was made to the retiring NSW Boys Group Executive Commissioner, Comr Ray Bell, OAM, LM, DSA, MSA recognising his 36 years in the role. The 2020 Australian Air League Review is scheduled to be held at the Sports Super Centre, Runaway Bay, Gold Coast, Queensland on 4 October 2020. Further details will be provided during 2019.